Update, April 1st: Vir Linden’s comments on this viewer, offered at the Content Creation User Group meeting, are appended to the end of this article in an audio file. 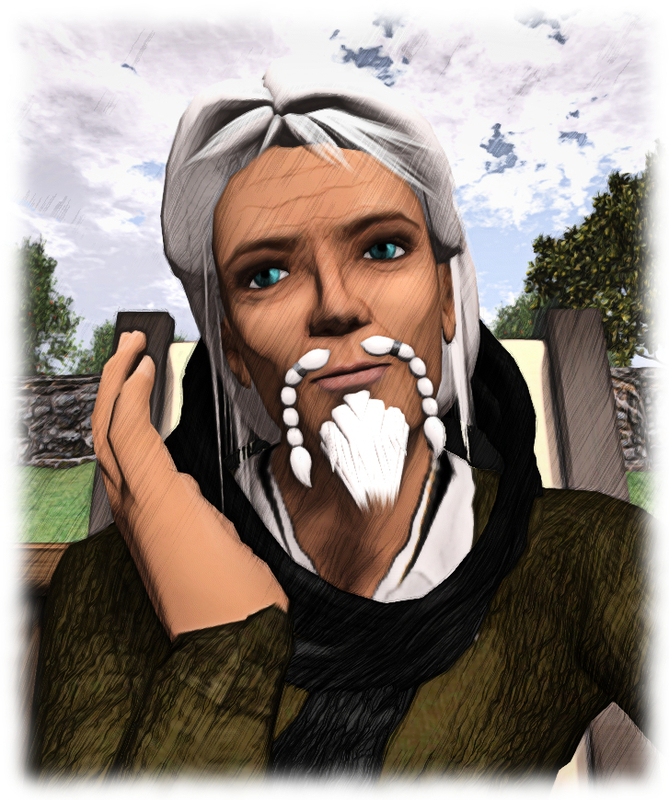 Some of my recent SL project updates have mentioned that the Lab is working to remove the remaining task of asset fetching away from UDP running through the simulator and to HTTP (avatar baking information, mesh and texture data have been delivered to users via HTTP for the last several years). This work involves changes to both the simulator and the viewer, both of which have been subject to testing in Aditi, the beta grid for the last few weeks. However, on Thursday, March 30th, the Lab effectively marked the start of testing on Agni, the main grid, with the release of the AssetHttp project viewer, version 5.0.4.324828. This viewer enables the remaining asset classes used in Second Life – landmarks, wearables (system layer clothing and body parts), sounds and animations – will now be delivered to users the same way as textures, mesh and avatar baking information: via HTTP over a Content Delivery Network (CDN) rather than through the simulator. This should generally make loading of such content both faster and more reliable. Hang On! What’s this CDN Thing? If you’ve followed the HTTP / CDN project, you can skip this part 🙂 . To keep things extremely brief and simple: a Content Delivery Network is a globally distributed network of servers which can be used to store SL asset information. This means that when you need an asset – say a sound or animation – rather than having to go via UDP to the simulator, then to LL’s asset service, back to the simulator and finally back to you (again via UDP), the asset is fetched over HTTP from whichever CDN node which is closest to you. This should make things faster and smoother, particularly if you are a non-US based user. A generic CDN diagram: instead of the users in India, Spain, Peru and on the US West coast having to fetch data from a central server (marked in red) they can obtain the data more quickly and reliably from local caches of the data, held by CDN nodes located much closer to them. There are some caveats around this – one being, for example, if you’re calling for asset information not stored on the local CDN node, then it still has to be fetched from the Lab’s services for delivery to you, where it can be cached by your viewer. 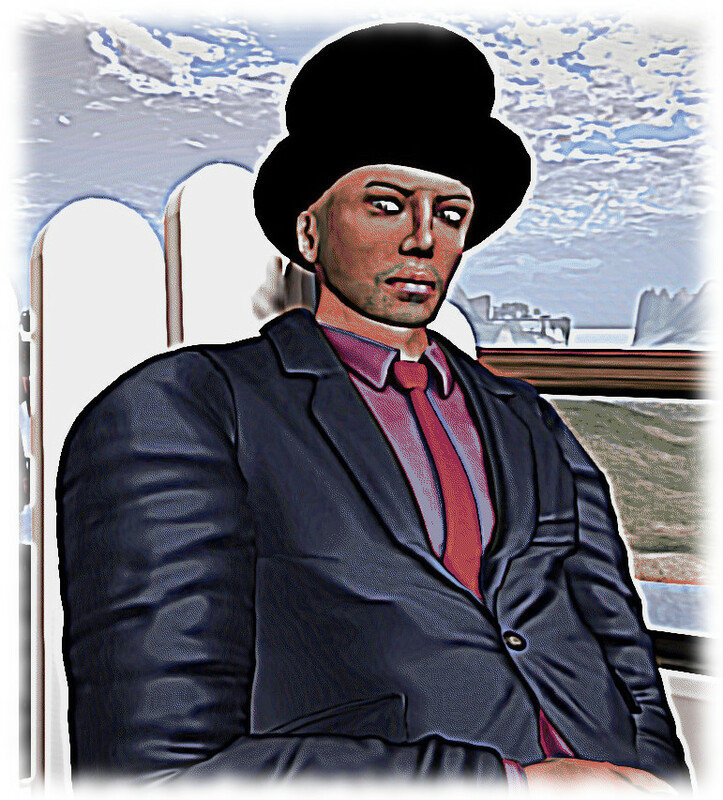 As noted above, the Lab started using CDN providers when they introduced the avatar baking service (called server-side baking) in 2013, and extended the use to the delivery of mesh and texture assets as part of a massive overhaul of Second Life’s communications and asset handling protocols spearheaded by Monty Linden (see my HTTP updates). 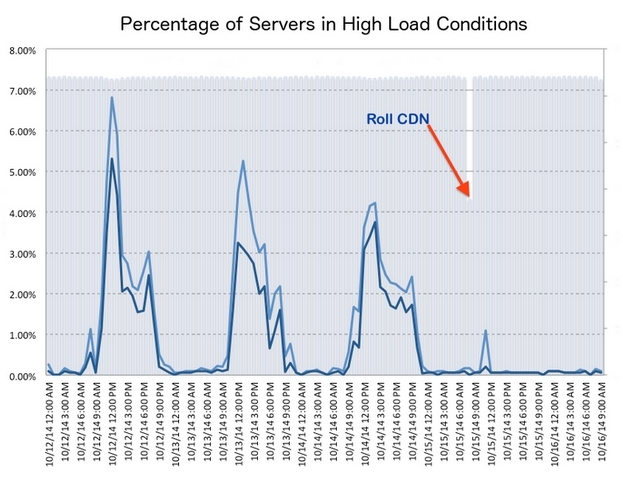 Moving the remaining asset types to HTTP / CDN delivery effectively completes that work. Right now, this is only a project viewer, and the Lab are looking to have people try it out and test fetching and loading of landmarks, wearables (system layer clothing and body parts), sounds and animations, so they can examine performance, locate potential issues etc. However, the code will be progressing through project status to release candidate and ultimately to release status over the next few weeks / months (depending on whether any significant issues show up). Once this happens, TPVs will be given a period of time to integrate the code as a well, after which, all support for UDP asset fetching will be removed from both the viewer code, and from the simulators. A rough time frame for this latter work is around late summer 2017. When it happens, it will mean that anyone using a viewer that does not have the updated HTTP code for asset handling isn’t going to be able to obtain any new or updated asset data from the Second Life service. The following notes are primarily taken from the TPV Developer (TPVD) meeting held on Friday, November 6th 2015. A video of the meeting is included at the end of this report, and time stamps to it are provided. My thanks as always to North for the video recording and providing it for embedding. On Wednesday, November 4th, all three RC channel received a new server maintenance package comprising a fix for group invite throttle notifications, and an internal server code clean-up. Following the main channel deployment, issues were variously reported with llHTTPRequest returning NULL_KEY even when it should not be throttled (see BUG-10627). The issue was initially noted with skill gaming mechanisms, but has also been encountered by those using Sculpt Studio, and reportedly with breedable systems. [0:20] A further Maintenance RC viewer due to be released in week #46, which includes a range of fixes, including some for the regressions present within the current de facto release viewer (version 3.8.6.305981). It currently appears that the next viewer promotion to release status will either be this maintenance viewer or the HTTP viewer – however the promotion is unlikely to occur in week #46, due to the Maintenance RC only just having been released and because the HTTP viewer his a number of issues to be resolved – see below. [0:35] There are still issues with this viewer which although described as “nothing terrible” in the Lab’s view, are sufficient to prevent its promotion in the immediate future. BUG-10391 – Avatar often bakes fails on Azumarill. [1:19] The Chromium Embedded Framework viewer is performing well on Windows in the Lab’s estimation, and is getting “really close” on the Mac. The hope is that this viewer will progress from project status to a release candidate “pretty soon”. [16:40] There have been some reports of issues with this viewer, including BUG-10598, logged out when tping from one LM to another, which is likely related to the disconnect issues being experienced with the HTTP viewer (both the HTTP viewer and the CEF viewer are closely related). [17:25] There has been a report of “major” HTML video performance issues (see BUG-10558). However, running 30+ YouTube videos via HTML 5 in a single location is viewed by the Lab as possibly excessive and, as noted on the JIRA, the problem hasn’t been easy to reproduce and the video footage supplied might suggest a problem other than simply with running multiple HTML 5 videos. [1:44] A new project viewer, version 3.8.7.307189, was released on Friday, November 6th. The Vivox project viewer should correct a number of Voice quality and connection issues on both Windows and the Mac. The Lab requests that anyone who has experience Voice issues to try this viewer, and if it does not resolve their issues to raise a JIRA, being sure to cite this viewer’s version number in the report. Those failing to indicate they have tried the project viewer are liable to be asked to do so, simply because Vivox has asked the Lab not to forward bug reports to them unless they have been tested against the Vivox package included in this viewer. For a list of fixes, please refer to the release notes in the above link. [30:15] As noted in the last TPVD meeting in October, the Lab are shifting a number of validation checks from the viewer to the simulator. One of these is attachment point validation checks, which will mean that attachments attempting to fix itself to an invalid attachment point ID will be attached to the chest by the simulator. [31:15] A further simulator-side check the Lab has been considering would prevent the upload of animations and meshes weighted to valid attachment points. The Lab have been discussing this given the feedback given in October (see also FIRE-17144 and BUG-10543 for feedback as well), and have decided to investigate options further rather than implementing any immediate changes. However, they do note that there is no guarantee the ability to upload meshes weighted in this way will continue in the future. [32:05] The Lab has made it clear what will be implemented in the near future is a simulator validation check to prevent the upload of animation or mesh items weighted to use joints /attachment points which are not a part of the recognised set of avatar joints. [22:20] An issue has emerged around the upcoming gateway trial programme which is loosely connected to the avatar updates mentioned above. The new avatars (mesh and “Classic”) are only available via the Lab’s “new” registration API. Currently, the API presented to gateways is the older version, which relies on the default Character Test avatar. 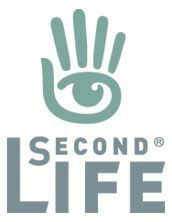 As noted at the TPVD meeting, this could be immediately off-putting to new users entering Second Life through the new trial gateways. However, the Lab appears to be “pretty close” to being able to switch the gateway SPI to using the newer set-up – and this may be one of the reasons the trail gateway programme hasn’t as yet been officially announced. Not directly related to news from the Lab, but the next release of the Firestorm viewer should be around Monday, November 16th or Tuesday, November 17th. However there are still dependencies on this, and it is not a hard set of dates. On Tuesday, October 20th, Linden Lab issued a blog post highlighting upcoming technical improvements to the service, particularly viewer-side updates, which will shortly be making an appearance, or which are already available in the form of release candidate or project viewers. Regular readers of this blog will hopefully already be aware of most of the improvements mentioned by the Lab’s post, as I’ve covered them through various updates and focus articles in these pages. 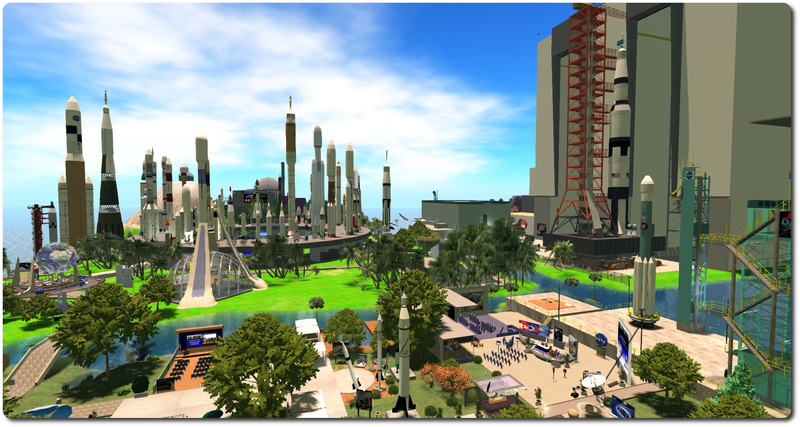 A new age of modern HTML5 content is upon us, and we’re overhauling the way shared media (aka “media on a prim”) works so that you can enjoy all kinds of modern web content within Second Life. Chromium Embedded Framework (CEF) is coming to replace the ageing QTWebkit framework. What you can now see in a Project Viewer is the latest released version of Chrome – so it will render all modern web technologies – like HTML5, CSS3, WebGL; has the latest security patches; and will be easy to keep updated to a recent version. What does this mean for your Flash content? What about QuickTime? They may still work, but because both can only be viewed if the user has correctly installed a 3rd party plugin, we can’t promise support and you shouldn’t expect that it will work for everyone. Standard HTML5 is the way of the future and this Viewer will enable it for anyone. There are still bugs to squash, and we’re iterating quickly to bring you a smooth in-world media and browsing experience. If you have comments about this feature – please post to the forum thread about this topic – located here. My own quick-and-dirty demo of using a viewer with the CEF code (in this case, the Black Dragon TPV, as I don’t have a video using the Valhalla viewer) to access WebGL content displayed both on prims in-world, and via the viewer’s built-in browser. The WebGL demonstrations are provided via David Walsh (with thanks to Whirly Fizzle for the link), and this video is intended to offer a simple overview of some of the capabilities, which as mentioned in the notes from the Lab are actually far more extensive. The major take-away from the CEF introduction at this point is that if you make use of media within your products (e.g. TVs, etc. ), or as a part of you in-world presence, now is the time to be looking to convert them to using HTML / WebGL, etc., testing them against the Valhalla project viewer, and reporting any issues / highlighting any concerns. The Lab is more like to address matters / consider changes while the viewer is will at project status, rather than when it reaches a release candidate status. Also mentioned in the post is the new Notifications RC viewer and the Quick Graphics viewer, both of which are both available as release candidate viewers. The former provides a new front-end for handling incoming notifications (and which I previewed here). 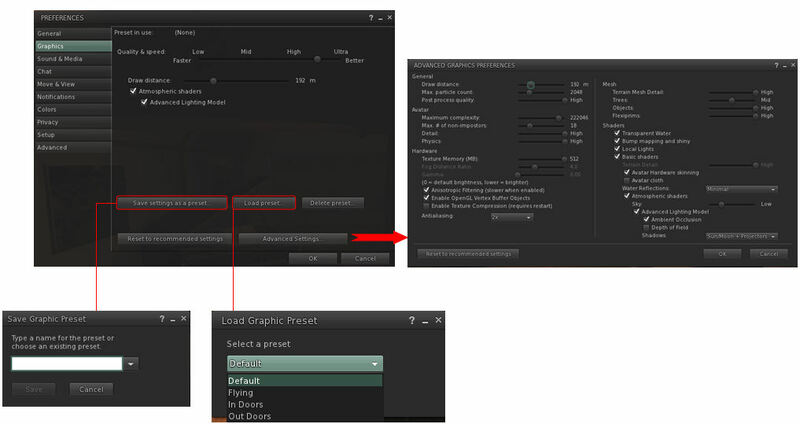 The latter provides both the new Avatar Complexity functionality (which replaces the old ARC / ADW) and the abilities to create, save and quickly re-use sets of your own graphics presets for use in different environments and settings. Again, I’ve previewed both of these here and here. Additional insight into Avatar Complexity is provided, both through the post and via a link to the Knowledge Base article on it. a request is also given that anyone who has general comments on the capability to please post them to the related forum thread (comments posted to this blog may not be read by the Lab). 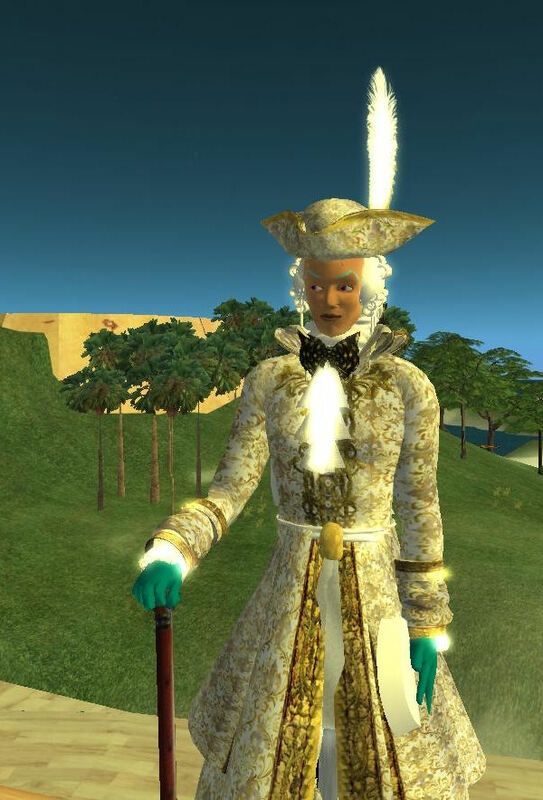 Mention is also made of the HTTP updates which have been undertaken by Rider Linden (Project Azumarill) and which are also available in a release candidate viewer. This project builds on the foundations laid by Monty Linden with his HTTP work, further enhancing the use of HTTP capabilities to provide more robust communications capabilities with the simulators and back-end services. Finally – at least in terms of available viewers – the updated mesh importer viewer, recently promoted to de facto release status, gets a mention. The second part will comprise a refactoring of the viewer inventory files and functions with the overall aim of making the code more readable and easier to maintain. As the Lab’s blog post indicates, this project further builds on the on-going work we’ve seen during the course of the last few months to improve inventory performance, reduce the number of inventory losses users may suffer, and provide assistance with inventory-related problems which affect things like logging-in to to SL. Due to the numerous recent security problems affecting Flash, it has been completely removed from our website. A modern way to animate starter avatars in the join carousel and some other exciting news for registration is coming out really soon. Keep an eye out! This announcement again signifies that while the Shining Project many have ended, and things may have been a little quiet of late, things are still being progressed. As it stands, the notifications updates may well be promoted to the de facto release viewer in week #44 (week commencing Monday, October 26th). In the meantime, the links below will take you to the latest (at the time of writing) versions of the viewers mentioned here and in the Lab’s blog post. If you find any reproducible issues with any of them, please raise a JIRA, and remember to post any general comments you may have on the viewers to the official forum threads mentioned above. The following notes are primarily taken from the TPV Developer meeting held on Friday, March 27th, a video of which is included towards the end of the article (my thanks as always to North for recording it and providing it for embedding), and from the Server Beta meeting held on Thursday, March 26th. Any time stamps contained within the following text refer to the TPV developer meeting video. As always, please refer to the deployment thread in the forums for the latest updates / news. On Wednesday, March 25th, the three RC channels received the same new server maintenance package, which is focused on inventory loss issues, and provides the Lab with better error detection and logging, improving their ability to look at some of the failure places and the removal of unused code. This updates does not remove the server-side messaging used in support of RTLP. Vir Linden’s work on a new global limit for system layer clothing was released as a project viewer, version 3.7.26.299805. With this viewer, a user can wear any combination of clothing layers (wearables), up to a maximum of 60, rather than being limited to (in general, and as with the official viewer) to a maximum of 5 items per layer type. Note that these changes do not apply to body part wearables (skin, shape, hair, eyes), for which the limit is still one of each, and do not affect attachments, for which the limit is still 38 total. [07:18] There is already an update in the pipe for this viewer, which should be appearing next week. [05:12] While there are no specific details as yet, the lab is hoping to put some work into improving camera positioning and handling in the not too distant future, in the hope of removing various glitches and issues. [05:54] There have been a few fixes added to this viewer (currently version 3.7.26.299443), so a further update to the release candidate version is with the Lab’s QA team and should be appearing in week #14 (week commencing Monday, March 30th). [06:29] Currently at version 3.7.26.299845, the latest Maintenance release viewer has a range of issues, many of which have hopefully been addressed with a series of fixes, so an update to that viewer is also with the Lab’s QA team. However, given the scope of the updates, it is proving a little harder to pass the QA process. [06:50] The Experience Keys / Tools viewer (currently version 3.8.0.299338) is being merged-up with the latest release version of the viewer code (version 3.7.26.299635). The updated version should also be appearing (again as an RC) in week #14. [17:27 – 19:50] There is an interesting discussion on the viewer code which, for anyone interested in how the viewer has developed over the years, and how much of it dates back some 14 years. [00:00] There was a pile-on test of the new Viewer-Managed Marketplace capability on Aditi in week #12, and Brooke Linden was at the TPV Developer meeting to provide feedback. The pile-on test did not reveal any significant issues in terms of performance. However, there is still a viewer / simulator / marketplace communications issue which has to be resolved, which may take another couple of weeks to fix. After that, there are two grid deployments which need to take place: one for the VMM code itself, and one for updates to the Advanced Inventory System (AIS), so it is unlikely VMM will be fully deployed within the next month to two month, and the project viewer (currently version 3.7.25.298865) is unlikely to progress through a release candidate to release status until after the server components have been deployed. [07:32] Simon Linden has been continuing to work on the group chat code, and all of his current updates should have been deployed to the back-end group chat servers. A broad consensus is that the issues which recently occurred as a result of some changes have been reversed, and that the group chat service as a whole is now running a lot better, both in terms of the early performance improvements Simon made, and with regards to the overall stability of the service and the servers. [08:24] There is a further round of updating in the planning, but these require a platform upgrade to be carried out for the group chat service first. Therefore, unless unless the latest set of updates deployed by the Lab start to show issues, the engineering team will be switching focus for the immediate future, and will return to working on group chat once the necessary upgrade work has been completed. [09:20] One of the items the engineering team want to focus on in particular is Experiences, and getting the remaining back-end issues sorted out so that Experiences can be properly deployed. [09:59] There will be a further round of voice updates which are expected to appear in a project viewer “shortly”. They include (but are not limited to) things like general code clean-up to prevent unnecessary list loading, removal of media messaging in person-to-person calls (which has never worked), fixes for issues related to microphone volume and improvements to the microphone test so that you can now hear yourself when testing your microphone, and improvements for hot swapping microphones / headsets. [13:58] There is some confusion over whether or not a fix to voice designed to prevent someone’s voice channel being “left behind” when teleporting between regions has actually worked. It had been thought that the fix for this had been deployed in later 2014. However, bug reports are still being made still reporting issues (see BUG-8543 and STORM-2109), prompting the Lab to re-examine the status of the fix. [19:54] Voice package updates from Vivox are also expected to be forthcoming in the future as well. [21:08] There have been around 400 responses to the Firestorm call for feedback on how people use the Restore To Last Position functionality found in some TPVs. As I’ve previously reported, the Lab had been considering deprecating the server-side message RTLP uses as an overall part of on-going work to reduce the amount of inventory loss issues (real or perceived) which can occur. [21:49] Well, I understand that there are user scenarios that need to be addressed and need to be better supported. Whether the existing feature is the way to do that or not, I still consider to be an open question. I do want to take those use cases and work back through that process [of determining how best to serve them]. So the Lab still isn’t going to do anything “quickly” either way on RTLP, and people needn’t worry about RTLP vanishing / breaking “suddenly”. In the meantime, they are working on other changes intended to address various rezzing failure situations. This work is more server-side focused, although it may be a while before updates appear on the grid as the exact nature of the updates is still being determined. [23:42] Oz also again thanked everyone who responded to the Lab’s call for feedback on inventory losses in general, defining the feedback as “really, really useful”.